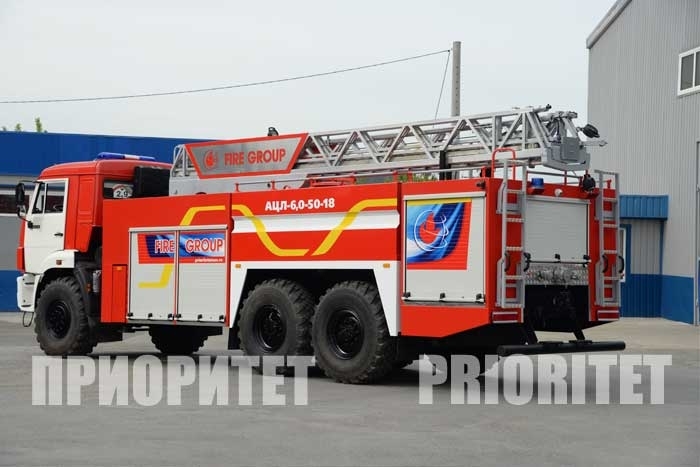 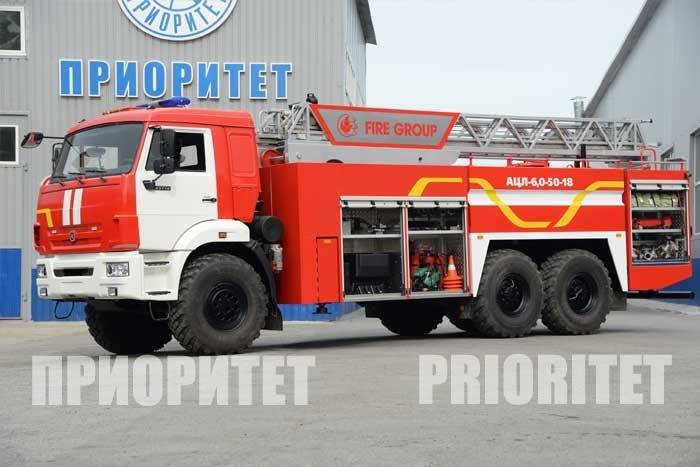 Fire-fighting tanker with ladder AZL-6,0-50-18 (43118) is a basic fire-fighting vehicle, equipped with fire-fighting pump, with tanks for liquid fire extinguishing agents and means of their supply, and with stationary mechanized turntable ladder with cage. 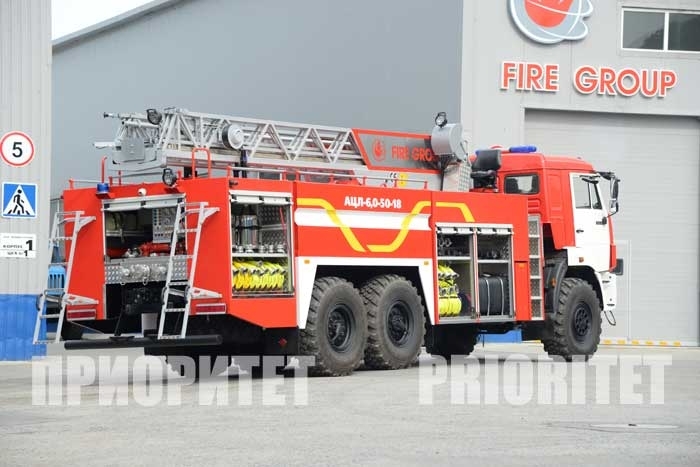 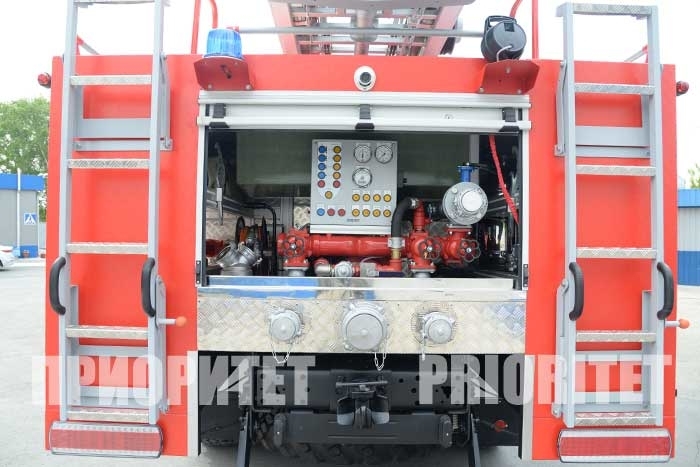 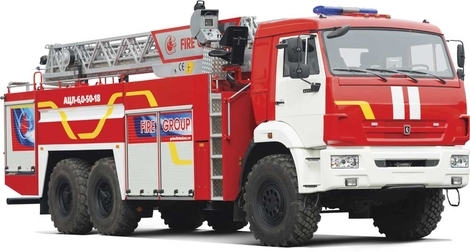 It was made on the cross-country chassis and designed for delivery of the truck crew to the point of fire origine, for fire extinguishing and execution of accident rescue operations with the help of fire extinguishing agents and fire-fighting equipment, and also for supply of fire extinguishing agents from other water sources to the point of fire origin. 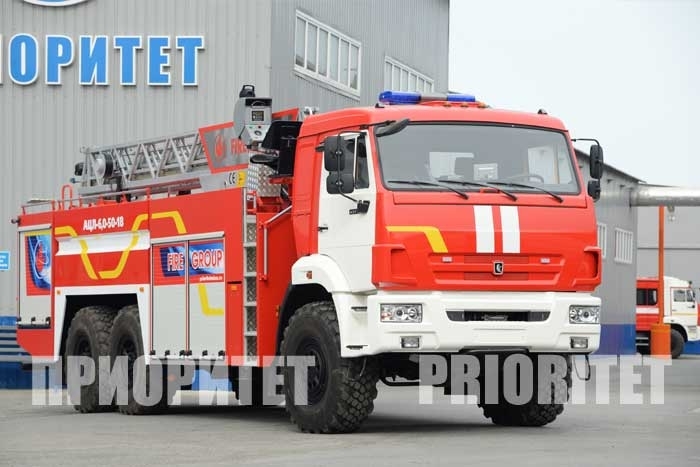 © — «Prioritet», 2010 г.